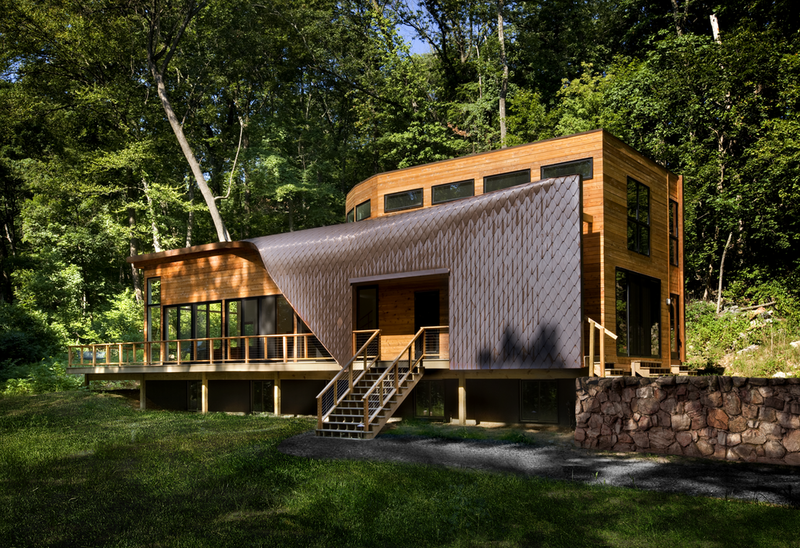 This single-family house for two writers (one a theologian, the other a cookbook author and chef) is located on an eleven-acre site. The site is defined by a northeast stream that bisects a ridge and meanders through the property, with the valley floor becoming horizontal on the southwest side. The site is heavily wooded, with outcroppings of weathered stone and detritus. The design takes its point of departure from the morphology of the site: the vertical gap through the ridge that transforms into a horizontal landscape is reiterated in the form of the house. Parallel walls define the garden court and east end of the house. 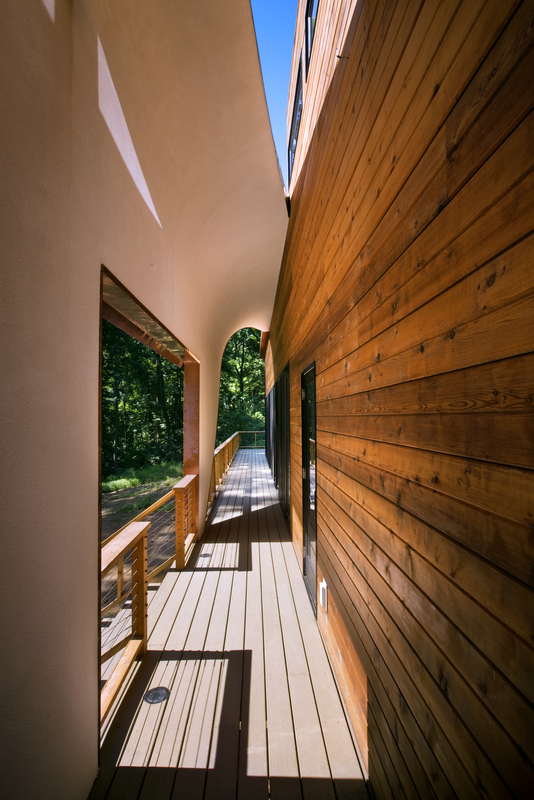 The walls warp into horizontal planes on the west side, opening the house up to the southwest view. The kitchen, with a study above, is seen as the heart of the house. A freestanding garage and writing studio are a future phase.